We answer all phone calls personally! 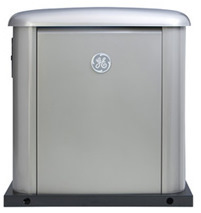 McCurdy Electric is your only source on the North Shore of Boston for the revolutionary new GE Generator Systems. At J.P. McCurdy, we value exceptional customer service and support and have built an extremely loyal customer-base after 16 years in the business. Going above and beyond for our consumers to find them the perfect standby generator for their needs is what we’re trained to do, and we pride ourselves on just that. Our skilled technicians come with decades of combined experience and hold superior knowledge when it comes to complete repair, diagnosis, installation and design services for your back up power source. Count on our team to guide and support you through the buying process, as well as display superior support and technical expertise post-sale! 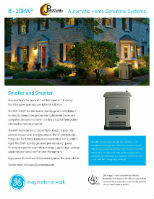 Introducing the newest products in the GE Home Standby Generator Systems lineup! The Symphony™ II Power Management System continuously monitors your home's connection to utility power. 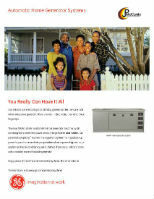 The generator starts automatically when there is an outage and shuts down automatically when utility power is restored. The Sound Vault™ Technology features an automotive-style exhaust system and acoustic foam dampeners for quiet, neighbor-friendly operation. The system blends in beautifully with your home's exterior and landscaping, much like your central air conditioner does. Tucked in close to your home, it has a sleek profile and a footprint that is 15% smaller than our other whole house systems. The new military-grade finish ensures years of all-season outdoor protection and resistance to corrosion, chipping and abrasions eliminating the need for an aluminum enclosure. 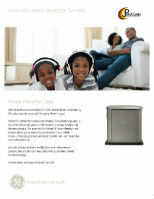 The operational remote monitoring system allows you to check system status without leaving the house. 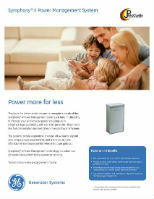 The system delivers clean, stable power, protecting your computers and other sensitive electronic equipment from damage. GE is a name you know and trust. 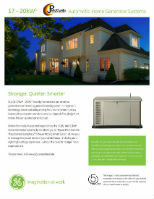 You can be confident that, when you need your Home Generator System, it will perform. The Briggs & Stratton Professional Series™ V-Twin engine will deliver years of reliable performance. The four-year limited warranty is one of the best comprehensive parts and labor warranty in the industry. 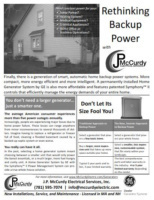 McCurdy Electric is your source for generators and home generator service. We are proud to serve our neighbors in Metro Boston, Eastern Massachusetts, and New Hampshire. Our service areas include, but are not limited to, the following communities: Beverly, Salem, Boxford, Danvers, Middleton, North Andover, Woburn, Peabody, Ipswich, Marblehead, and Manchester, MA.